HomeDental CareWhich Toothbrush Should I Use? With so many options many people ask “Which Toothbrush Should I Use?”. Up and down, back and forth, in circular motions – dental health experts all agree that regular tooth brushing, no matter how high tech or low tech the instrument, and flossing can help prevent tooth decay. According to the U.S. Library of Congress, early forms of the toothbrush have existed for nearly 5000 years. Ancient civilizations used a “chew stick,” a thin twig with a frayed end. The sticks were rubbed against the teeth to remove food. In the past 500 or so years, toothbrushes were crafted with bone, wood, or ivory handles that held the stiff bristles of hogs, boars, or other animals. The nylon-bristled toothbrush as we know it today was invented in 1938. There are three types of toothbrushes on the market – the regular manual toothbrush, rechargeable electric toothbrush (including sonic), and battery power toothbrush. Today the cost of a powered toothbrush can be more than triple that of a manual one. Likewise, modern society’s focus on cleanliness, however, has generally made it unacceptable to share toothbrushes. Regular Manual Toothbrush are the basic toothbrushes you’re probably accustomed to with a plastic handle and various nylon bristle designs on the brush head. This is the most common type of toothbrush. Rechargeable Electric Toothbrush, also known as a “power toothbrush”, is the kind you plug into the wall to recharge, keeping the handle and replacing the brush head every three months. Rechargeable electric toothbrushes differ among the kind of cleaning technology they use, such as oscillating-rotating or sonic technology. Battery Power Toothbrush, are similar in design to regular manual toothbrushes, with just enough vibration to add some extra cleaning action due to their use of an AA battery. When asked to monitor their patients’ progress, dental professionals said the powered brush had a positive effect on the oral health of more than 80 percent of their patients. Most participants reportedly said their oral health was better after using the device. Results of this study appeared in the March 2000 issue of the Journal of the American Dental Association. 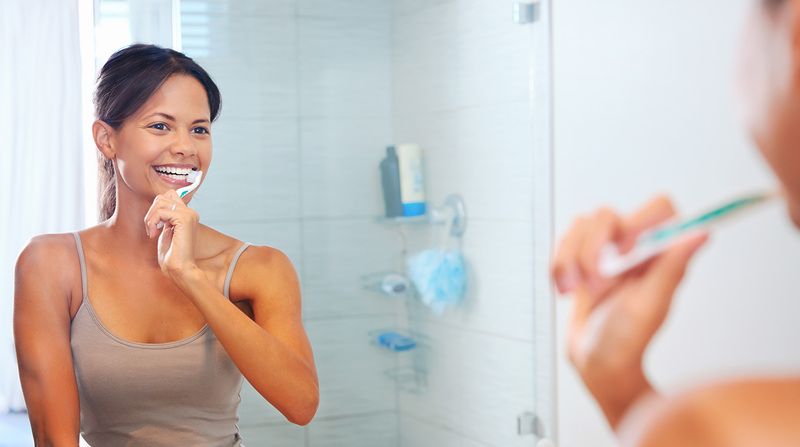 If you need to know: Which Toothbrush Should I Use? or you have questions about toothbrushes and your oral health, give us a call at 403-288-5500 to reach our Market Mall Dental clinic and 403-289-9908 to reach our North Hill Dental clinic.